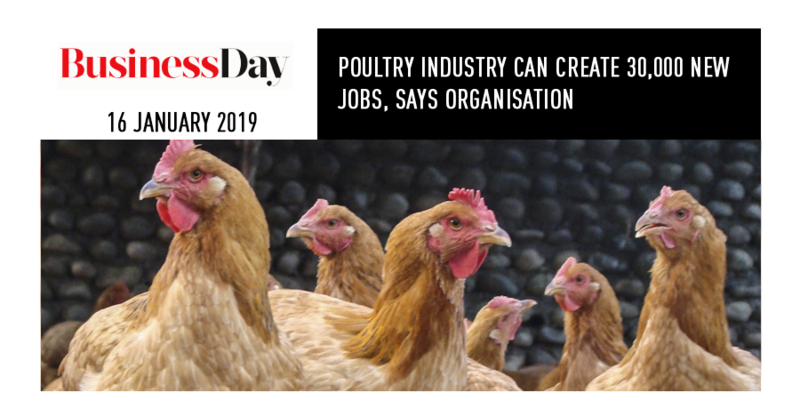 If the right support measures are put in place by the government, including curbing cheap chicken imports, the SA Poultry Association (Sapa) says the sector can immediately create 30,000 new jobs. The sector employs about 130,000 people. However, it has shed hundreds of jobs in recent years, blaming this on an influx of cheap chicken imports particularly from the EU and Brazil. Brazil is the world’s largest poultry exporter. The local industry and unions argue the EU and Brazil sell chicken meat below cost and have called on the government to intervene. But the EU and producers in the South American country have said their farmers are simply more competitive than their counterparts in SA. Sapa recently approached the International Trade Administration Commission — the organisation tasked with customs tariff investigations, trade remedies, and import and export control — calling for an increase to the ad valorem tariff on bone-in and boneless frozen chicken portions to 82% from existing levels of 37% and 12%, respectively. Izaak Breitenbach, the newly appointed Sapa GM, said on Wednesday the biggest challenge facing the broiler industry at the end of 2018 was the impact that dumping has had on the sector. However, SA’s semi-arid climate puts pressure on local producers’ competitiveness, said Breitenbach, as drought pushes up the cost of feed and grain and necessitates expensive grain imports. “Chicken prices are established by the price of individual portions, but due to phytosanitary restrictions preventing South African producers from exporting, they are unable to participate in the lucrative EU and US markets for white breast meat, which would in turn allow them to subsidise their own ‘brown’ meat, as happens in other countries,” he said. 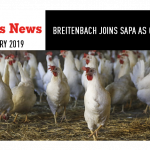 Breitenbach said he is in favour of the proposed strategic and operational industry masterplan that will address transformation and place chicken on a growth trajectory, to benefit the economy through job creation and additional tax generation. 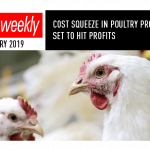 This week, the Brazilian Association of Animal Protein said the argument that SA, as a “globally efficient producer of chicken” faces profit challenges and job losses due to imports of frozen chicken, “does not sustain itself”. “Whereas one of the main reasons SA is facing difficulties is that SA poultry production has been highly affected by bird flu [pathogenic avian influenza] since 2017,” the association representing Brazilian poultry exporters said. It argued that the requested tariff-rate increase in frozen poultry products would also affect the domestic prices for SA consumers, “given that imports would be more expensive and there would be a lack of supply by SA’s production”.